This world is absorbed with only wanting to believe in what they can see. They call our steadfast faith in God, “blind faith”. Instead of placing an unwavering belief in the Almighty God, this world strives to place science in place of God himself. How many times have we heard “science proves!”? Science that is observed is fascinating. But what gets scarey is when they try to present their hypotheses and speculations they draw from their observations as fact. So what is faith in God and how does science fit into a Godly world view? Faith is something which cannot be measured in pounds, ounces, or feet. But it can be measured within a person. 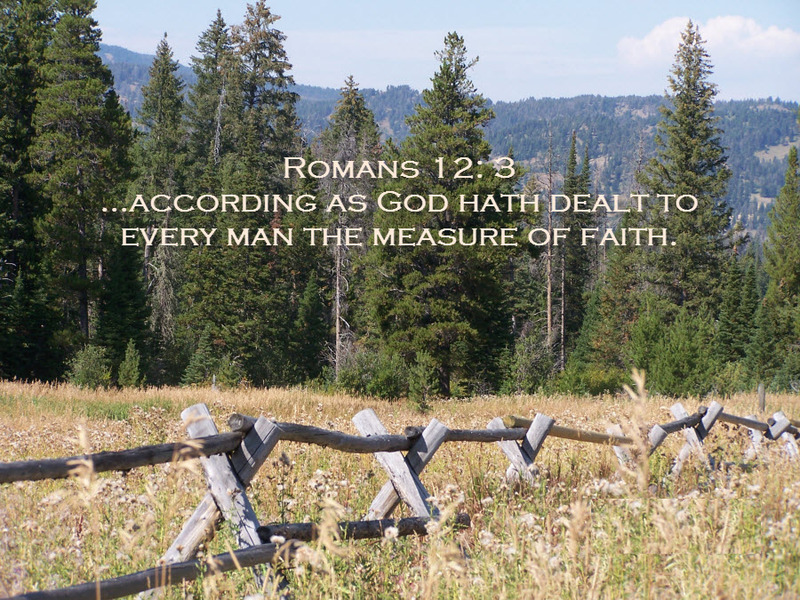 Romans 12:3 says, “…God hath dealt every man the measure of faith.” So we all have faith that God gives us when we get saved. Without faith it is impossible to please God. So without faith you cannot be saved. Ephesians 2:8-9 states that we are saved through faith. For scientists who do not believe in God they have to rely on their own ideas to replace the Bible. Over and over again scientific research has proved what the Bible has stated for centuries. Science has never disproved the Bible, much to the dismay of critics, atheists, and the lost world. We all can see the chicken. We all can watch it move, see it reproduce, dissect it after it is dead, and look at it under a microscope. But when people begin to say that that chicken evolved from this other species and of course it happened millions of years ago, that is when the scientist departs from the observable facts and begins to insert his or her ideas, thoughts, and speculations. Now we are all treading on ideas, not facts. The Bible teaches us to be students of the Word. II Timothy 2:15 teaches us to rightly divide the Word. We are also to carefully weight and consider what other professionals, authors, and speakers try to instill in us. We are to take each thought into captivity (and diligently compare it with whatever the Bible says about that subject). Faith in God begins when we accept the Lord Jesus Christ into our hearts as our Lord and Savior. By faith we believe that His Word is true. We believe that we, in and of ourselves, cannot make ourselves clean and presentable for heaven. Instead we have a need for the Savior. We in faith admit that we need to get saved, and ask Jesus to come into our hearts, wash our sins away, and make us clean and whole. After we are saved our faith should show to the world around us. Because of our faith we no longer are found in certain ungodly places that we may have frequented before, we are found in church on Sundays, we spend time with godly friends instead of worldly ones, etc. I think the most dramatic out workings of our new found faith is: 1) when we share the plan of salvation with others, and 2) choose to make a Godly choice instead of a worldly one when we are presented with a problem or situation in our lives. « Faith in God That You Can See!